A comedian as well as an RJ Sourav Ghosh is the master of multiple talents and belongs to Kolkata. People sometimes confuse his voice with that of Ameen Sayani the most imitated radio announcer of India and sometimes his voice sounds to be comical. Ever listened to a Bengali screaming over microphone at his best? Sounds funny right? Well Sourav adds to it by making sense too. 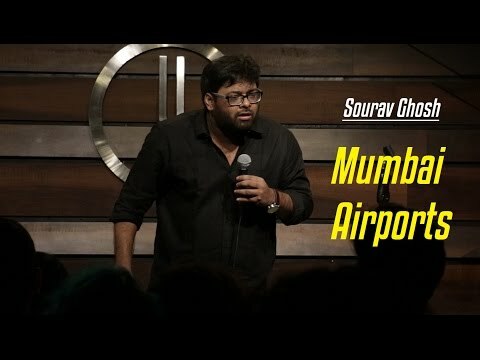 His comedy is a mixture of observational as well as surreal styles but his going crazy over the stage adds more to the fun part of his stand-up sets. His subtle way of shifting from one liners to storytelling and vice versa make people burst into the pool of laughter. Topics such as religious conflicts Indian culture Durga Puja traffic hassles superhero movies and above all girlfriend issues find space in his comedy sets. The best part is that his wife hasn’t seen any of his shows yet but she is a die-hard fan of his comic sense and timings.